Ombuds are required to be excellent communicators, and to coach and teach others how to be more effective communicators as well. This fun and engaging deep dive covers the full range of communications that an ombuds engages in—from executive briefings to conflict coaching and everything in between. Participants should be expected to stretch as they acquire and apply new insights. As with the current Foundations of Organizational Ombudsman Practice course, a core course is one that addresses fundamental knowledge and practice for “new” ombuds (less than three years of full-time practice) or for ombuds who desire to learn or refresh such fundamentals. The core courses form the basis of a curriculum for organizational ombudsmen and are based upon a set of knowledge domains derived from the CO-OP® job analysis of organizational ombudsmen. Ombuds will be expected to successfully complete core courses before taking advanced courses. The Professional Development Committee plans for all core courses to be replicable courses. New ombuds with less than three years of full-time practice or ombuds who desire to learn or refresh masterful communication skills. Vik Kapoor is a coach, facilitator, trainer, and conflict systems expert for the Federal Government, where he chairs the Department of Homeland Security’s Ombuds Forum. He also has a private coaching practice that helps high-potentials engage in better conversations with themselves and others. 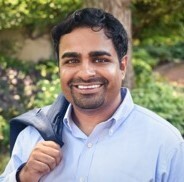 Vik’s work has been featured in Forbes, The Washington Post, Thrive Global, and HBR.com, among other publications. Passionate about empowering youth, Vik has also been a coach for Georgetown’s School of Business and an adjunct professor of conflict resolution at Howard University’s School of Law. Prior to being an ombuds and coach, he was a plaintiff’s side class action litigator and a court mediator. Notably, VIk spoke to over a thousand people at the FBI on “Dialing Down the Drama” just two weeks before the Comey firing, and came back the next year to talk about perspective-shifting. His training on “Building Communication Bridges @ Work” was a big hit among emergency managers in Puerto Rico, and his research largely focuses on the intersection of cutting-edge brain science and daily life. Vik has a JD from Georgetown and a BA from UCLA, where he was a Regents Scholar. He also earned a certificate in leadership coaching from George Mason University and is studying trauma and recovery in a program through Harvard Medical School. He is an aspiring stoic and (perhaps unrelatedly) newly married. The course fee does not include travel expenses or the cost of accommodations. Housing arrangements should be made directly with the hotel once you've received a registration confirmation. To reserve a room at the discounted rate of $199.00 USD per night (single/double occupancy), reserve online or call Sheraton Hotel New Orleans at +1-504-525-2500 or +1-888-627-7033 and mention you are part of the International Ombudsman Association conference. These rates will be available to attendees, based on availability, through Wednesday, March 6, 2019.